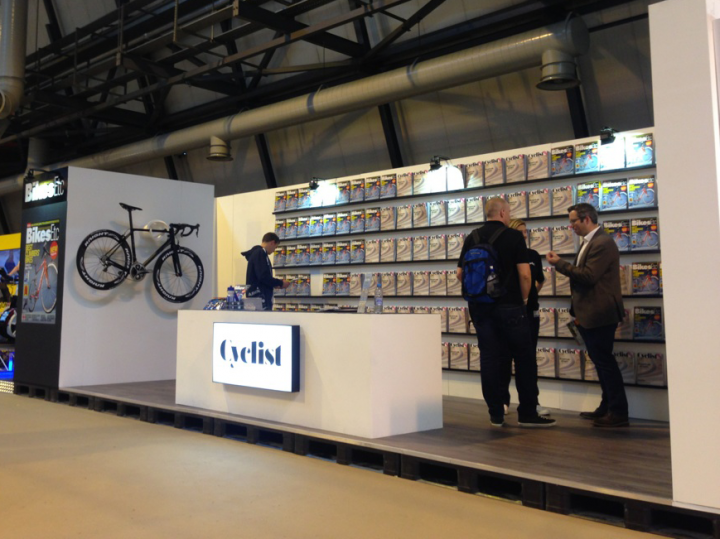 ﻿ Cyclist Magazine | not tom. 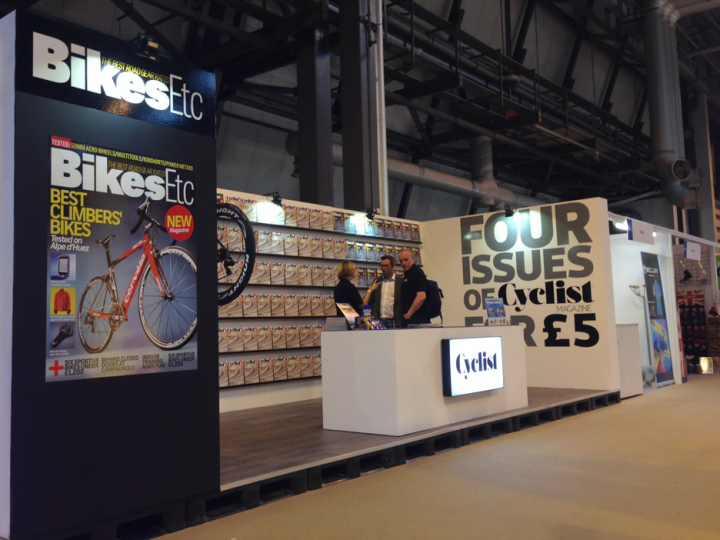 Dennis publishing asked us to put together a simple re-usable stand for their Cyclist Magazine stand at trade shows. 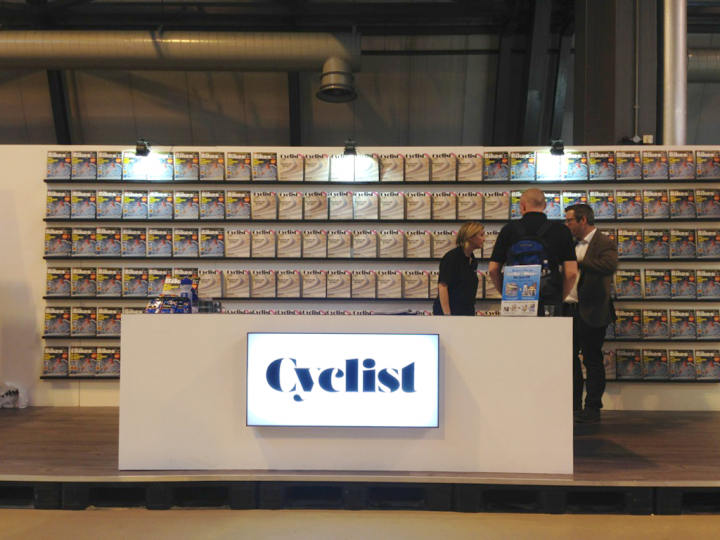 We used an 8m long wall of magazines to create the impact on the stand and kept everything else really simple. We constructed the floor from plastic pallets and the walls are simply bolted together from a series of boxes.